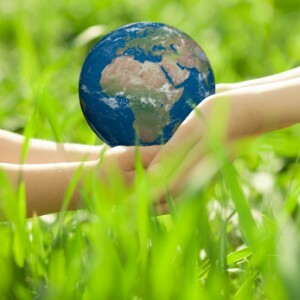 Earth Day is a day of awareness when the world shows appreciation and support for the environment. It is a great opportunity to show love for the Earth by partnering with the people you love in various activities. There are numerous ways to celebrate Earth Day. Here are 7 ways you and your family can show your love. Earth Day comes at the perfect time of year for planning a garden. Decide whether you want to plant flowers or vegetables. Make a list of everything you need including seeds, soil, containers and a watering can. Make a trip to the store and pick up everything on your list. Spend time as a family preparing your garden together. Stir crushed Oreos and Gummy Worms into the pudding and pour the pudding into the pie crust. Chill for at least one hour before eating. Part of what makes the Earth special is that it unites the world. Show your connection to family and friends by having them trace their hands on construction paper during the days leading up to Earth Day. Cut them out and make a hand wreath to represent unity. Meditation has been proven to relieve stress and lower blood pressure. Teach your family how to do it together. Find a place outside where you can enjoy the beauty of the environment. Give everyone a chance to say what they appreciate about the Earth. Then take 10 minutes practicing deep breathing. Have everyone close their eyes and sit silently while thinking about the things you discussed. Nobody likes to see trash on the ground. It looks terrible and it is disrespectful to the planet. Walk around a local park with trash bags and pick up litter as a family for a couple of hours during the day. Make sure to wear gloves to protect yourself from germs. You will all feel great after seeing how you made a difference. Then go for a walk! Pinecone birdfeeders are simple to make yet will let the birds know you love them too. Collect pinecones and cover them with peanut butter. Dip them in bird seed and hang them from your trees. Watch the birds arrive for a snack. Take the recyclables that have been building up in your garage over to the local recycling plant. Many locations offer free tours of their facilities where you can learn about how it all works. Your children will learn the importance of recycling and you will clean out some clutter. Make this Earth Day special. Take time to show your love for the planet with the people you love.